Whether it’s a stubby or a slender 500-mL vessel, few things are more familiar or ubiquitous than a bottle of beer. Yet this wasn’t always the case. Until the late nineteenth century, beer was mostly sold from casks, with a very small percentage of output bottled. But there were some bottles to be found, mostly for export beers. Some of the earliest beer bottles used in the United States were stoneware. Pottery bottles tended to be two-toned, but there are a few examples of solid cream-coloured bottles as well. They were particularly used for storing porter, but as you can imagine, they were very heavy and difficult to transport. Nevertheless, they exemplified what we think of as a “proper beer bottle shape.” That is, they were relatively low-shouldered, with shorter necks than wine bottles. 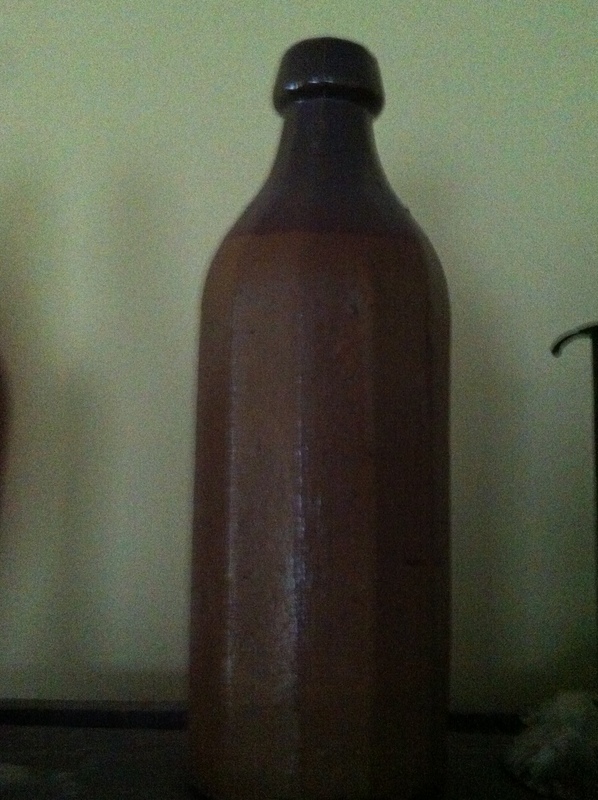 Two-toned stoneware bottle, Black Creek Pioneer Village collection. Though glass wasn’t quite as strong, it proved a lighter alternative. Britain’s abolition of taxes on glass in 1845 added to their popularity as well. Some green, blue, and clear glass bottles survive, but most early beer bottles were brown: the better for keeping out light that might spoil the beer. Many bottles were made from three-piece moulds with a “blob” top: a rounded lobe at the mouth of the bottle, which was stoppered and wired shut. By the mid-nineteenth century, ale bottles tended to be shorter, squatter, with abrupt shoulders and straight necks. As beautiful as these early bottles are, they proved a massive inconvenience for both brewers and drinkers. Prior to the development of automated bottling lines, bottling had to be done by hand. As the Black Creek Historic Brewery knows first-hand, bottling by hand is a difficult, time-consuming endeavour – but so is corking! The bottle would be held between the knees and the cork knocked in with a “flogger.” Alternatively (or perhaps, additionally), the cork could be secured with a wire. While the corkers and bottlers probably needed a brew themselves after all their hard work, drinkers were little better off. 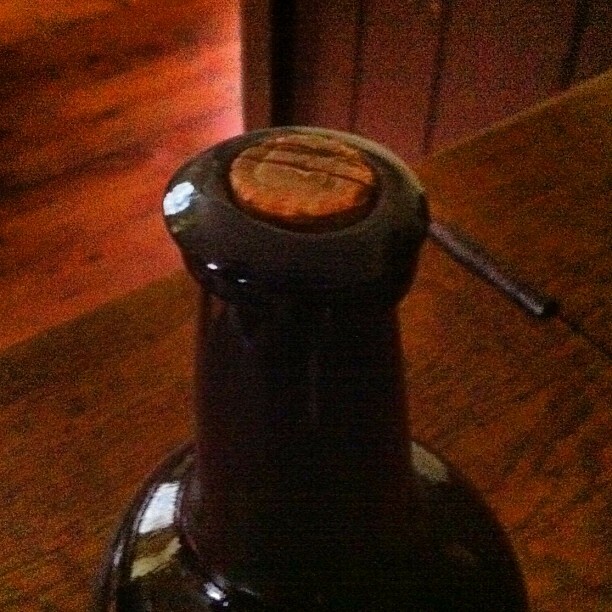 These early beer bottles needed to be opened with corkscrews and couldn’t be resealed. Once drinkers cracked one open, they were committed to it! Bottled beer really got a boost in the 1870s, particularly from the advent of pasteurization in 1876. Following Louis Pasteur’s methods, glass bottles were heated to 50 degrees Celsius for thirty minutes, thus killing any lingering microbes and ensuring a longer shelf life. At about the same time, the railways boomed, allowing this more stable beer to be sent further, faster. 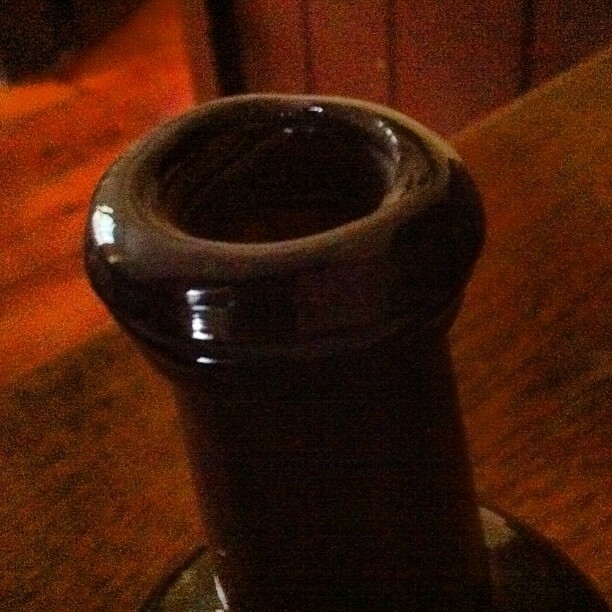 The decade ended with Englishman Henry Barrett’s invention of the screwtop bottle in 1879. Now, finally, bottled beer could be resealed. Further developments followed in the 1890s with American William Painter’s invention of the crown cap in 1892. Moreover, by the late 1890s, beer was being chilled, filtered, and artificially carbonated so that it would stay “bright” in the bottles, thus resembling our modern beers more and more closely. 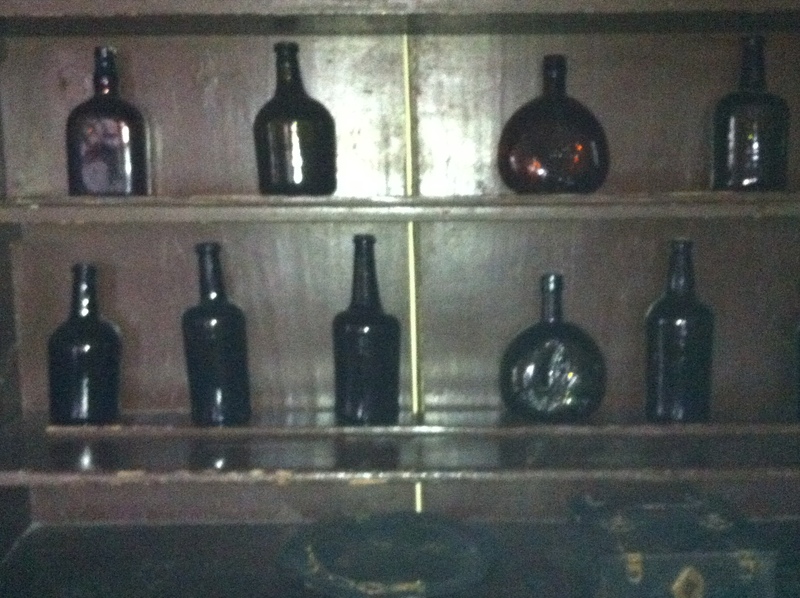 The good old days: an assortment of glass ale bottles in the taproom at Black Creek Pioneer Village. …until 1984, when the stubby was discontinued. But that, alas, is ale for a different tale. Posted on November 21, 2013 November 21, 2013 by ktbryskiPosted in Brewing HistoryTagged American history, archaeology, archeology, artifacts, beer, beer history, Black Creek Historic Brewery, Black Creek Pioneer Village, Brewing History, Canadian history, history, Ontario History.